Big Brother is one of those television addictions that once you catch the first episode, you’re hooked all season long. 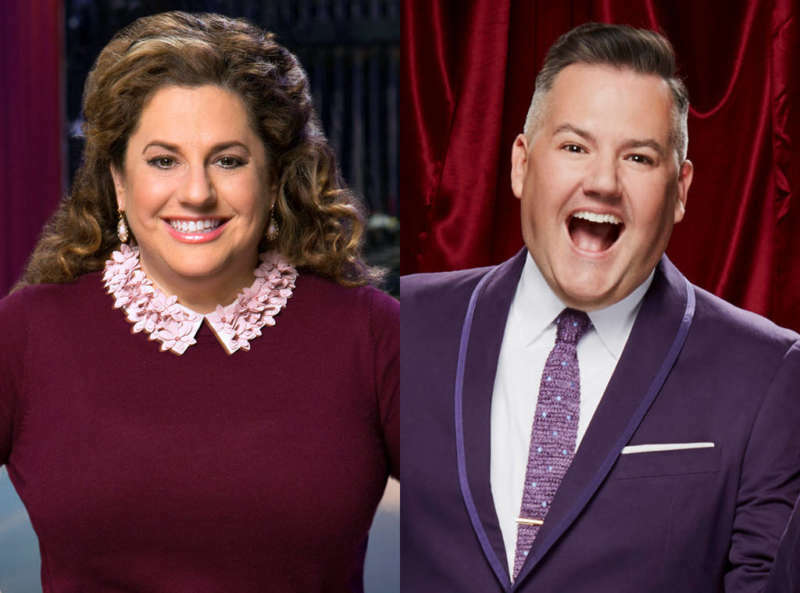 This inaugural U.S. edition of Celebrity Big Brother was no different, especially with some of our favorites like Real Housewife starlet Brandi Glanville, Broadway veteran Marissa Jaret Winokur and Drag Race judge Ross Mathews in the CBB house. Mathews and Winokur ended up making it all the way to the top two, beating our some fierce competitors like Omarosa, American Pie‘s Shannon Elizabeth, and Disney teen heartthrob James Maslow. In the end, Winokur was voted the winner of the season, walking away with the $250,000 cash prize and the bragging rights as the first winner of the U.S. edition of Celebrity Big Brother. But Mathews didn’t walk away empty handed. He got $50,000 as the second place winner (or first runner-up as Alyssa Edwards may note) and he got a very special honor: America’s Favorite Houseguest. That “fan favorite” honor came with another $25,000 check made out to television personality and self proclaimed Big Brother superfan. “Thank you, you guys. Thank you so much. I just love this game so much!” he said through tears after host Julie Chen announced him winner. Mathews also seemed genuinely happy to learn that he wasn’t this season’s villain. “I turned to Marissa in the break and I go, ‘Was I the villain? !” Ross laughed. “I’m sorry about the lying. But hello, it’s Big Brother!” Mathews declared in his interview with Chen after hearing that many of the jury members were bitter about the way he played the game. “If you’re gonna come in the house, you’ve gotta play this game,” he added as the audience cheered him on. Regardless, America had no problem with his game play and voted him as America’s Favorite Houseguest. Even though he had a great time and came out a winner in many respects, one thing is for sure: Mathews won’t ever return to the Big Brother house. We fell in love with Ross Mathews years ago when he was just “Ross the Intern” on The Tonight Show with Jay Leno. 17 years later, it’s nice to know the rest of the country has fallen in love with him, too.